Naturally sweet caffeine-free infusion, very high in antioxidants and minerals. Exclusively hand-picked from wild bushes in the scenic Langkloof, Eastern Cape and then dried naturally in the sun before being specially course-cut for a full flavour. Origin: Humansdorp, Eastern Cape, South Africa. 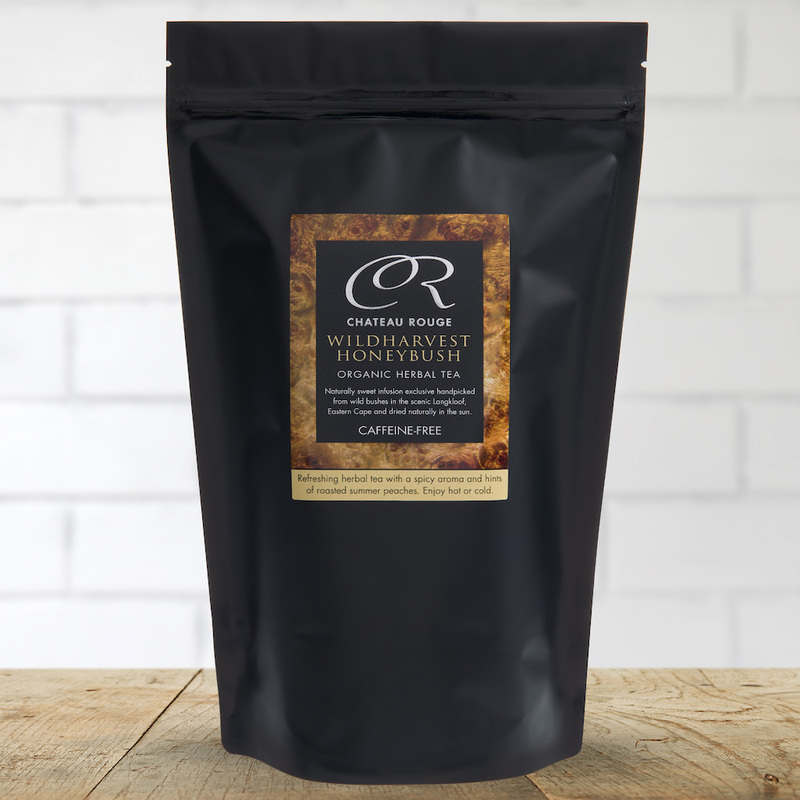 Unlike Rooibos, Honeybush is still exclusively picked growing wild. Heavy-handed harvesting can kill the shrubs, so we source from a farmer who ensures a sustainable way of cutting the native plants, preserving the delicate mountain ecology. Tips: Can be re-infused twice. Best enjoyed black without adding anything but extremely versatile. Like Rooibos, Honeybush has no tannins and will not go bitter if left to infuse. 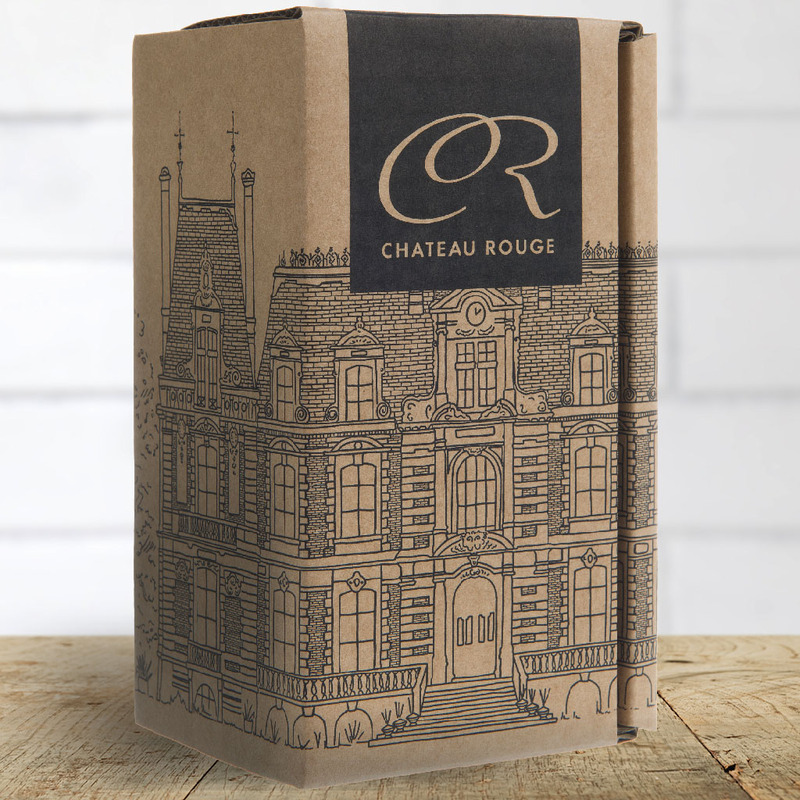 Packaging: Comes packed in our classic Chateau Rouge black tins. All packaging is recyclable and labels printed on FSC approved paper. Very nice tin good quality product! Nice smooth and sweet taste. Nice smooth and sweet taste. Does not go bitter no matter how long you let it infuse. Love the fact it is caffeine-free which means I can drink at night too before bed. The fact that it is all rich in antioxidants makes it the perfect herbal tea for me. This is honestly the nicest cup of tea I've ever had! A perfect English breakfast tea - strong, smooth and refreshing. 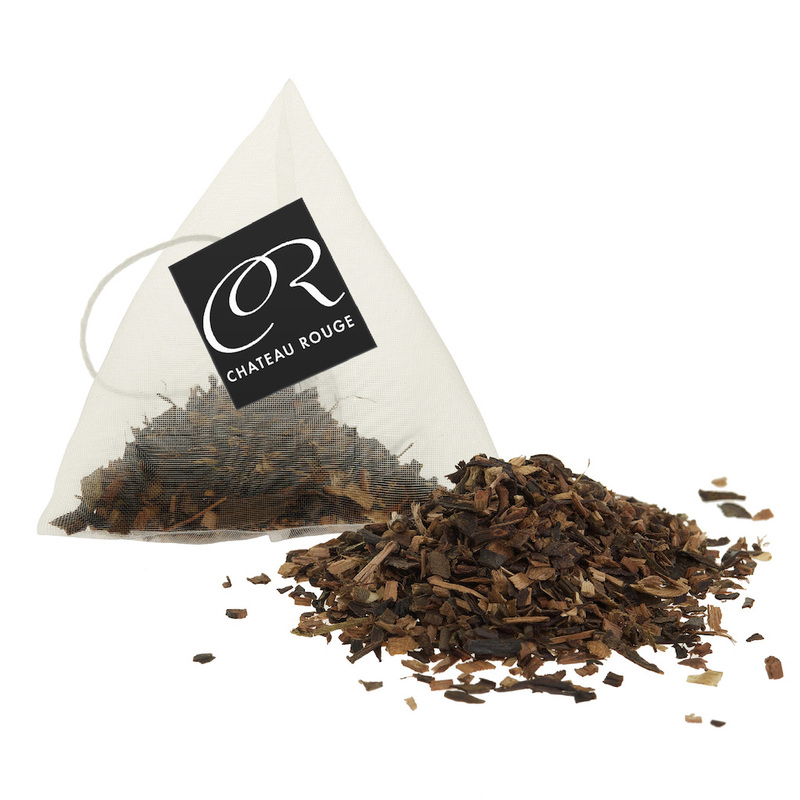 A perfect English breakfast tea - strong, smooth and refreshing. Don't think could be bettered. Superb quality! 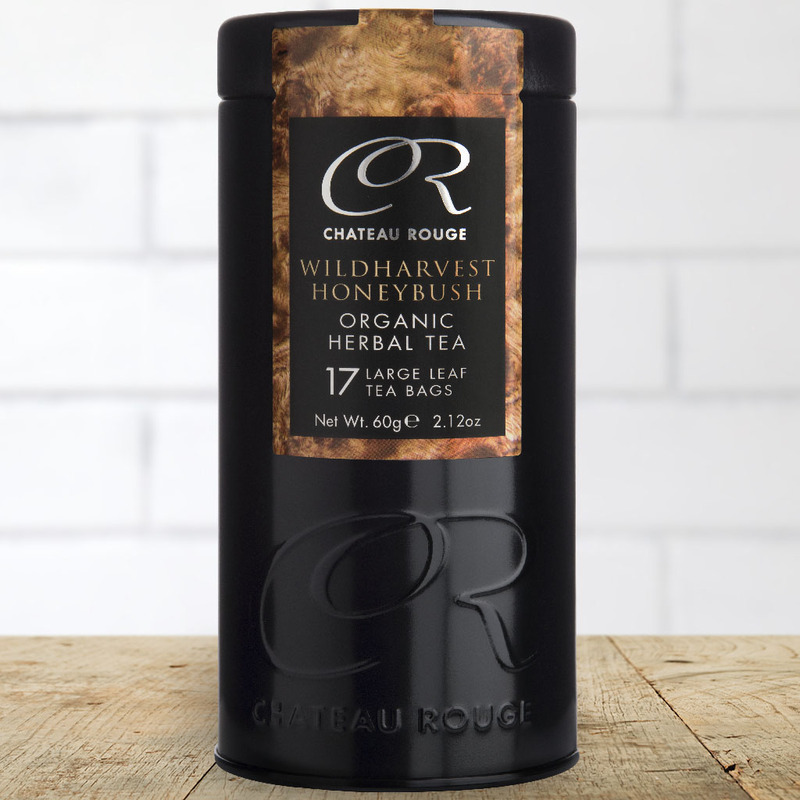 I just started purchasing and drinking tea from Chateau Rouge. I just started purchasing and drinking tea from Chateau Rouge. I ordered their Wildharvest Honeybush tea and their Breakfast Blend, and they are excellent! 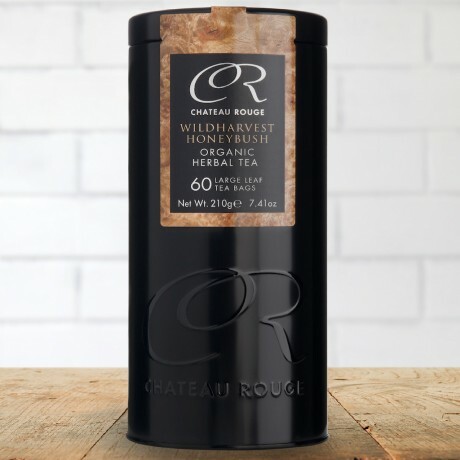 There are cheaper brands of honeybush and breakfast tea available, but when you include quality and taste as parameters in your comparison, there is no contest - Chateu Rouge comes out on top. I view tea drinking as one of the little pleasures of life, so Chateau Rouge tea suits me fine. I also plan on ordering other selections from them and intend to report on them in due course. This product is dispatched by Chateau Rouge Fine Foods. This item has a shipping weight of between 200g and 400g depending on the options selected. Minimum quantity for "Wildharvest Honeybush - Organic Herbal Tea Bags" is 1.